It's 1974. Chicago Private Eye Harry Kaplan is on the trail of a guy who went missing in Cameroon nearly twenty years ago. The Arab oil embargo is pushing gas prices through the roof and the super powers are scrambling all over Africa again, not least Cameroon's neighbour Nigeria with its oil conveniently accessible to the West. Harry is supposed to be investigating a family tragedy but all the early clues point to the murky world of geopolitics and people in power. 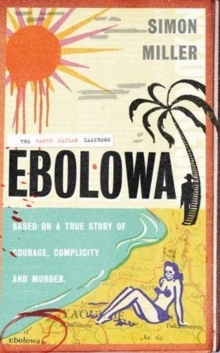 Ebolowa is based on a true story of courage, complicity and murder.